“If it shocks Your Lordships’ conscience, then there is perversity on the face of it…if, on a feel of the case, Your Lordships do not think this case deserves such(SIT) investigation, I will go elsewhere”. Argued Dr Abhishek Manu Singhvi. 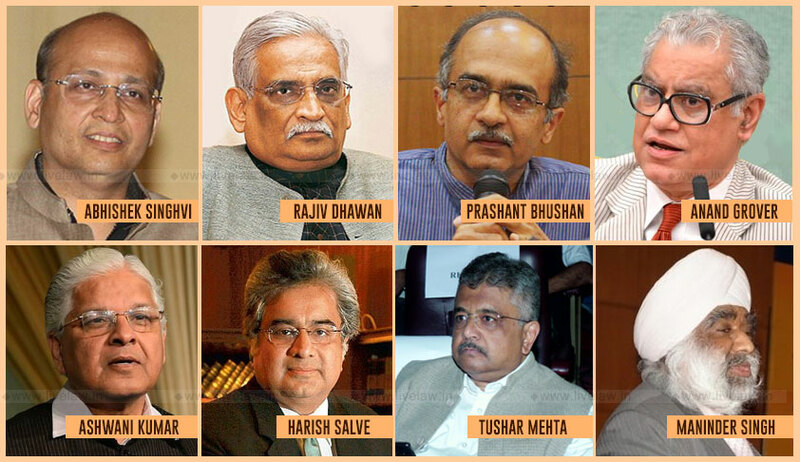 The PIL by historian Romila Thapar and four other eminent persons over the arrest of five activists in connection with the Bhima-Koregaon violence witnessed yet another eventful hearing in the Supreme Court on Monday as ASGs Tushar Mehta and Maninder Singh and Senior Advocate Harish Salve engaged in a war of words with Senior Counsel Abhishek Manu Singhvi, Anand Grover, Ashwani Kumar and Rajeev Dhawan and Advocate Prashant Bhushan. The bench of Chief Justice Dipak Misra, Justice D. Y. Chandrachud and Justice A. M. Khanwilkar clarified that any decision as to the quashing of the criminal proceedings or directing an independent inquiry into the allegations shall be taken only upon a perusal of the evidence and other materials. The bench also extended its earlier interim order of house arrest in respect of the five accused activists. “We will not get into that extreme example…we will only see if they should go to the criminal courts or is there something we can do under Article 32”, observed the Chief Justice. “We are not on locus…we had entertained this petition and passed the order for house-arrest as we had felt that liberty may be sacrificed”, he continued. “The accused have been in jail since June and the PIL has come to be filed before Your Lordships only now when the trial has begun”, Mr. Mehta refused to relent. “This is being called sedition? A call to raise arms against the country?”, advanced Dr. Singhvi, placing reliance on Chief Justice Misra’s recent judgment refusing to ban the Malayalam novel ‘Meesha’ and upholding the right of a poet to assume his own freedom under Article 19(1)(a). “There is also a whisper in the media of an attempt (at the Elgar Parishad) to plot the assassination of the present Prime Minister on the same lines as the Rajiv Gandhi episode…but there is no third FIR in this behalf? The CBI, NIA are not investigating the claim?”, continued Dr. Singhvi. Next, Dr. Singhvi pointed out that the Pune Rural, Police, within whose jurisdiction the incident had occurred, had appointed the Mayor to look into it. The Senior Advocate proceeded to read from the report of the Mayor’s committee which attached liability to Bhide and Ekbote for a pre-planned attack on the Ambedkarites, even indicating the involvement of some local policemen. “After I filed my rejoinder on September 10, the Inspector General issued a statement on September 11 disowning the report of the Mayor’s committee, saying that it had no authority to write the same!”, he contended. He suggested that there was an attempt to “fix” the five accused in as much as letters, which he alleged are fabricated, have surfaced as having been exchanged between Comrade Prakash, convicted on March 7 along with Delhi University Professor and Maoist activist G. N. Saibaba. “Comrade Prakash is in jail and is writing letters to these five people?”, he asked rhetorically. Finally, Dr. Singhvi drew the attention of the bench to the wavering stand of the state of Maharashtra between February-March and now as to who incited the violence. He quoted from what he described as the “solemn affirmation” of this incident by the state- how, during the course of the investigation, Ekbote’s involvement in the offence, which shook the “social conscience in the state of Maharashtra”, had earlier been deemed to have become established. To this, the Chief Justice remarked that the stance adopted may be changed when the investigation subsequently brings to light newer developments. Dr. Singhvi repeated that the accused have also filed a supplementary affidavit seeking impleadment before the apex court and asserted that the court has in many instances directed a SIT investigation under Article 32. He clarified that the prayer for an independent and comprehensive enquiry into the arrests of these human rights activists would subsume a SIT or a court-monitored investigation. “ If it shocks Your Lordships’ conscience, then there is perversity on the face of it…if, on a feel of the case, Your Lordships do not think this case deserves such investigation, I will go elsewhere”, he rested his case. “They (the petitioners) cannot show why the arrest was made; the state has to show it…the material will prove whether the arrest of these supposedly-innocent persons was justified”, chipped in Mr. Harish Salve. Reiterating his objection to the accused availing of two simultaneous remedies, Mr. Mehta advanced that they shall not be permitted to take a recourse elsewhere should the bench be satisfied of the offence after analysing the evidence. In reply, when Dr. Dhawan said that the scope of Article 32 is more comprehensive than the inherent powers of the High Courts under section 482 of the Cr. P. C., the Chief Justice commented, “I do not think we have to learn this from you”. “There are two facets- as far as liberty is concerned, we have accorded the requisite protection. But so far, no proposition has been placed to move us to appoint a committee or quash the criminal prosecution…Only the material will show precisely what the allegations are and if there are none, we may quash the proceedings”, reflected Chief Justice Misra. Senior Advocate Anand Grover contended that the provisions of the Cr. P. C. on arrest and search had not been adhered to. “this is an oppressive prosecutorial process…statutory morality must yield to constitutional morality…Article 32 owes no justification to anything”, pressed Dr. Ashwani Kumar. “Just by naming Articles 21 and 32, constitutional morality is not immediately moved. We must look at the material”, affirmed the Chief Justice sternly. At an earlier stage, the bench had been inclined to let the cases be heard by the competent courts, while its interim order for house-arrest continued. To avert the involvement of multiple states, it had even considered transferring all matters to one court. The hearing shall resume on Wednesday. Interim order for house arrests will be continued till then.